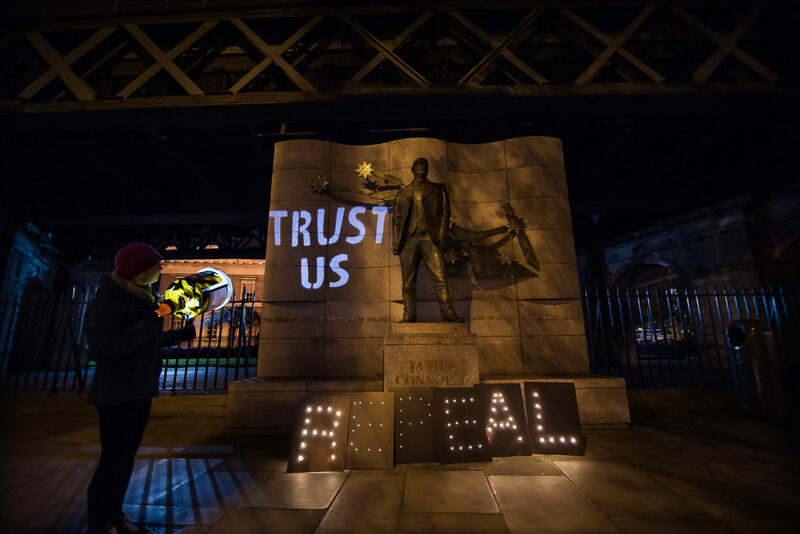 The Irish Government’s complacency with regards to abortion access and the 8th Amendment has created an extended, unnecessary struggle for the people living here. Every day, an average of ten women travel abroad for an abortion. Every day, ten women struggle through a journey they shouldn’t have to take for a medical procedure their own country should provide. To our government, those women are just faceless numbers. And still we wait for basic human rights. So we bring the fight to people in positions of power over. We will not allow them to shirk their responsibility and we will not just go away. Buildings where decisions are made about women’s rights and their bodies need to be highlighted. In this case, in the most literal sense of the word. Inspired by the Overpass Light Brigade, we came together to place the focus directly on those responsible, whether it be through misguidance or ignorance. 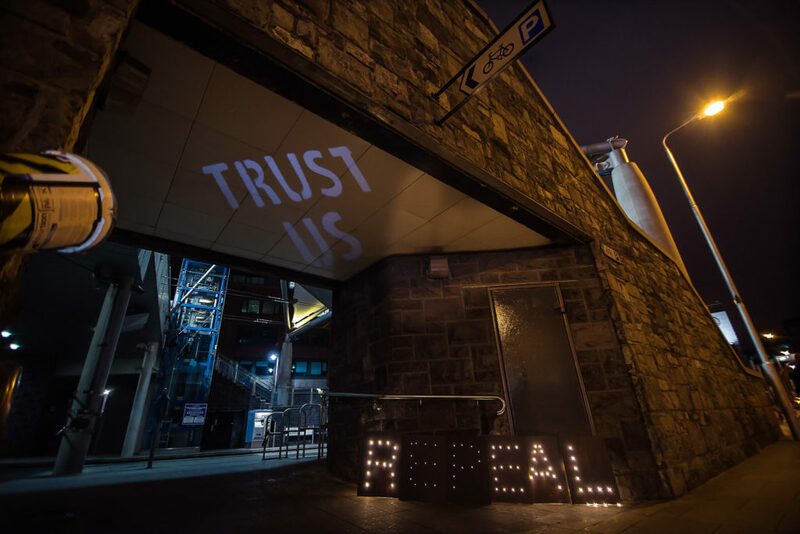 Equipped with ‘Repeal’ light signs and projectors created by ARC members with the instruction of Rob Ireson, we projected the image directly on the buildings themselves. 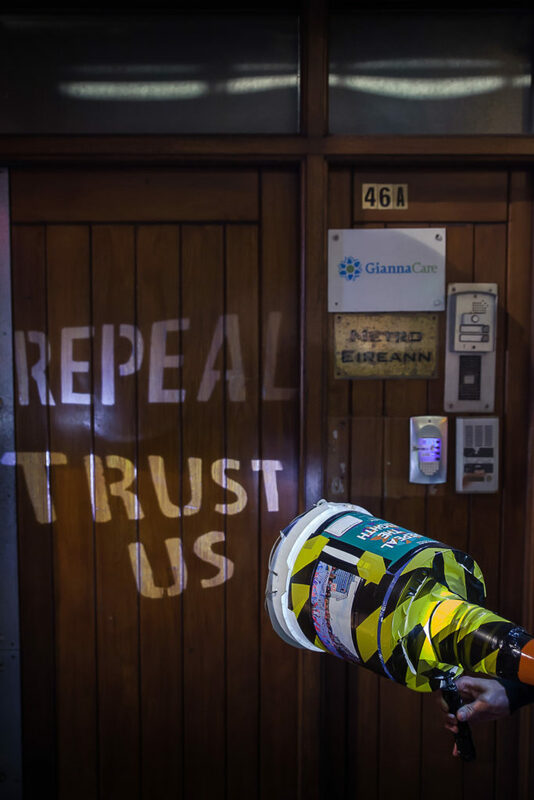 Our first port of call was the Gianna Care clinic, which had just been exposed as a bogus clinic by undercover reporters from The Times. Claiming to be a counselling and advice clinic for women experiencing crisis pregnancies, it was exposed as a clinic where vulnerable women are given false information that steers them away from accessing an abortion. The government can no longer turn a blind eye to the exploitation and manipulation of these women. By doing nothing to censure their activities, the government is giving tacit approval to the unethical and damaging propaganda these clinics use to control vulnerable people. Current abortion legislation in Ireland means that women could face up to 14 years for obtaining an abortion in Ireland. In other words, women might be criminalised for accessing what should be a basic health service. On 22nd May 1971 Nell McCafferty and members of the Irish Women’s Liberation Movement returned to Connolly Station from a historic trip to Northern Ireland aimed at highlighting the need for the contraceptive pill in the Republic. Today, the 8th Amendment acts as the biggest obstacle to Irish women’s realisation of their basic sexual and reproductive health and rights. 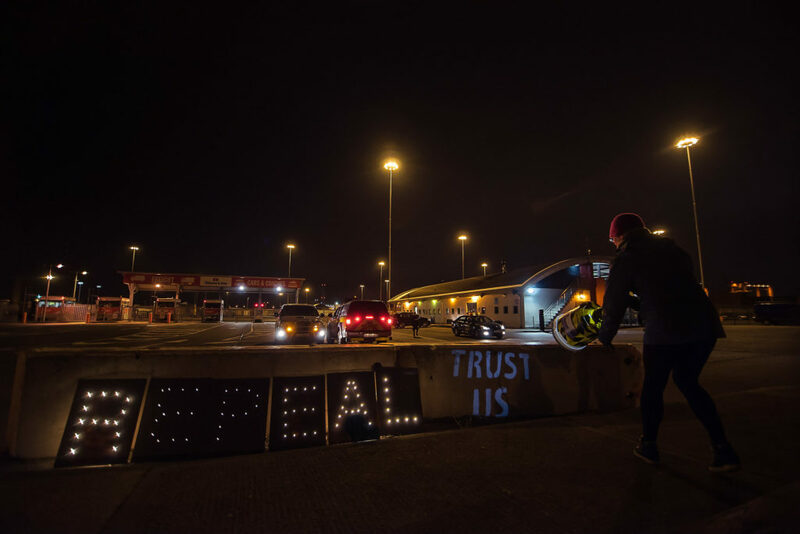 Many of the Irish women who travel abroad for abortion may make their journey by boat. The darkness of the docks at nighttime reflects the loneliness that might be felt by some women who undertake this journey alone. This location was chosen in memory of Ann Lovett, who, at 15 years of age, died giving birth beside a grotto dedicated to the virgin Mary in her home county of Longford. 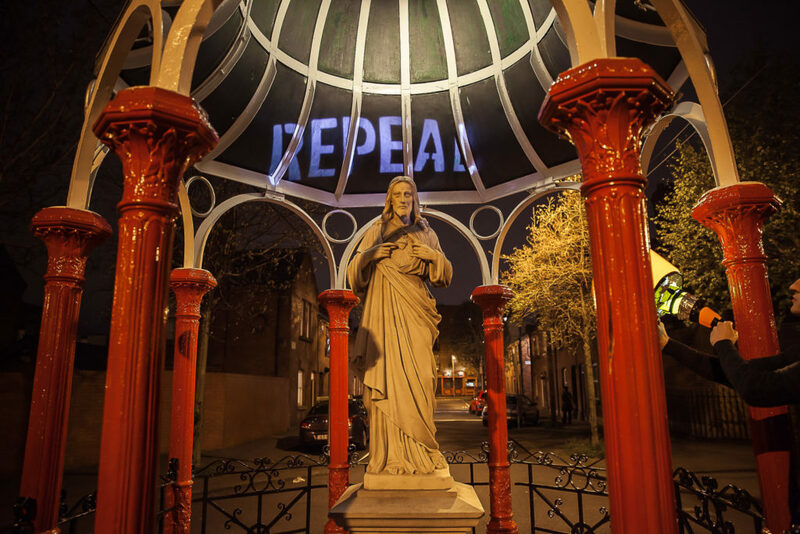 Her tragic death is emblematic of the dangerous consequences resulting from the Irish state’s callous attitude towards crisis and unwanted pregnancies. 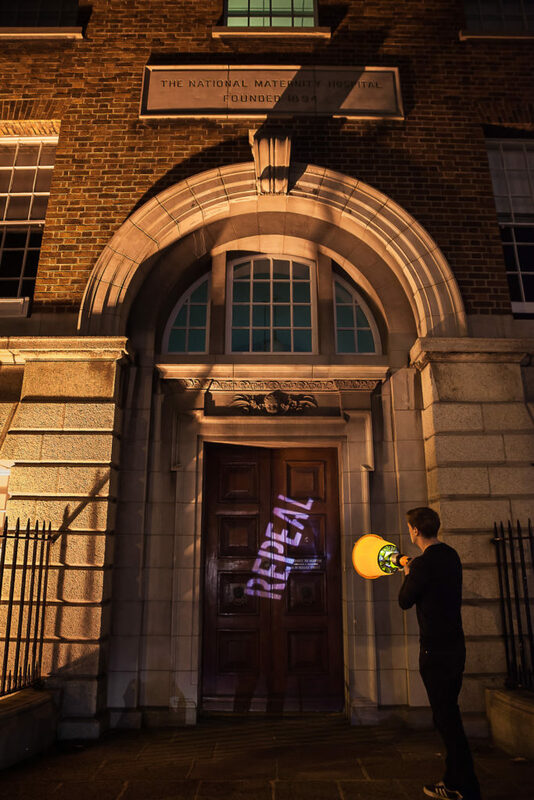 The government has been steadfast in its refusal to address the issues arising from the 8th Amendment, which effectively places a constitutional ban on abortion and forces 10 to 12 Irish women to travel abroad to seek abortion every day. The government’s irresponsible and cowardly inaction flies in the face of the condemnation given by several UN institutions and, most recently, the Council of Europe. Numerous masters of Ireland’s several maternity hospitals have condemned the current abortion legislation and the burden it places on healthcare professionals. The level of litigation around childbirth places undue restrictions on the work of Irish obstetricians and gynaecologists, negatively impacting their capacity to care for their patients. 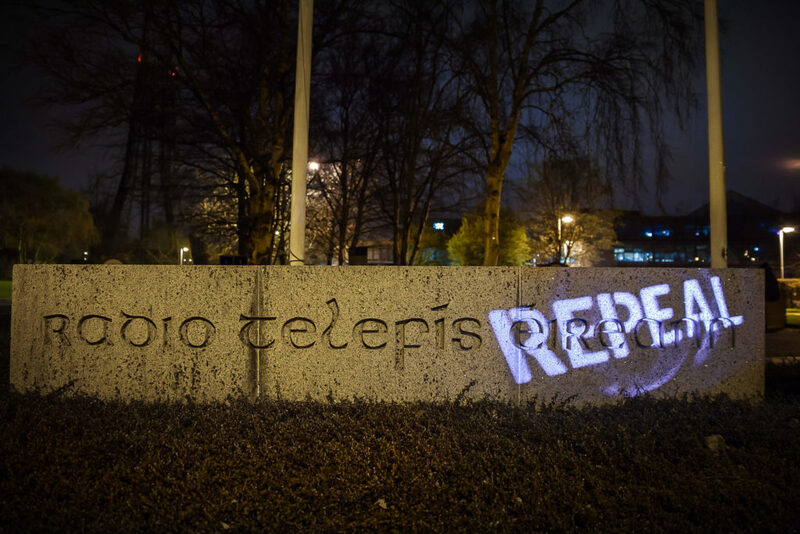 The state broadcaster’s commitment to media ‘balance’ fails to recognise country-wide support for a change in the current abortion legislation in Ireland. Recent polls by Amnesty demonstrate that 80% of the population support reform of current abortion legislation. 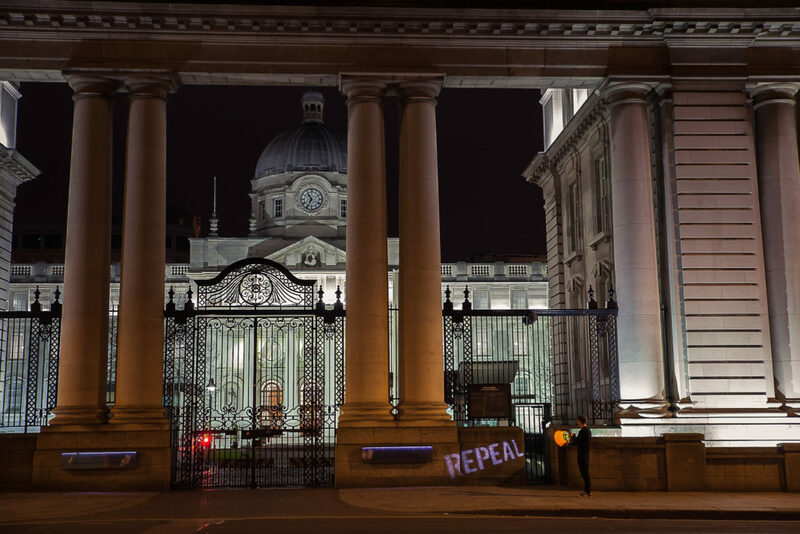 Between 10 and 12 Irish women leave Ireland to seek abortion abroad every day. 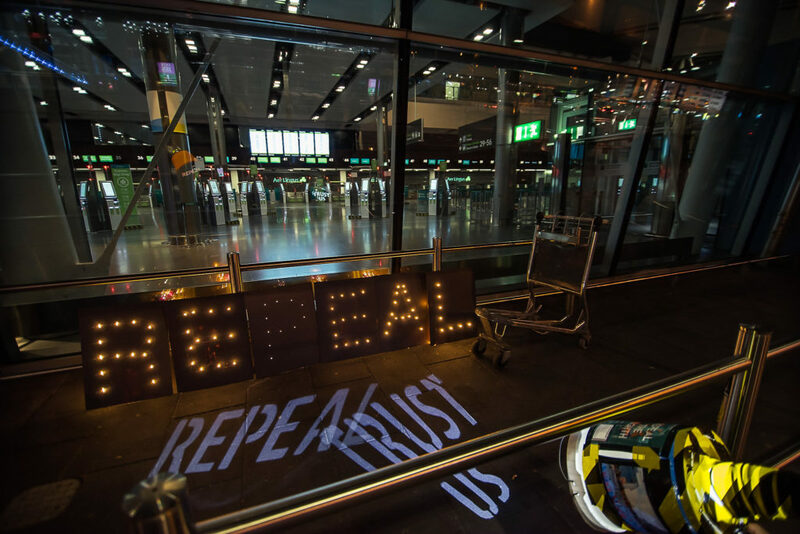 The 8th Amendment exports the issue of abortion abroad while also trapping pregnant people in Ireland who do not have the resources to travel abroad for abortion. The widespread subjugation of women’s bodies follows us from birth to grave. 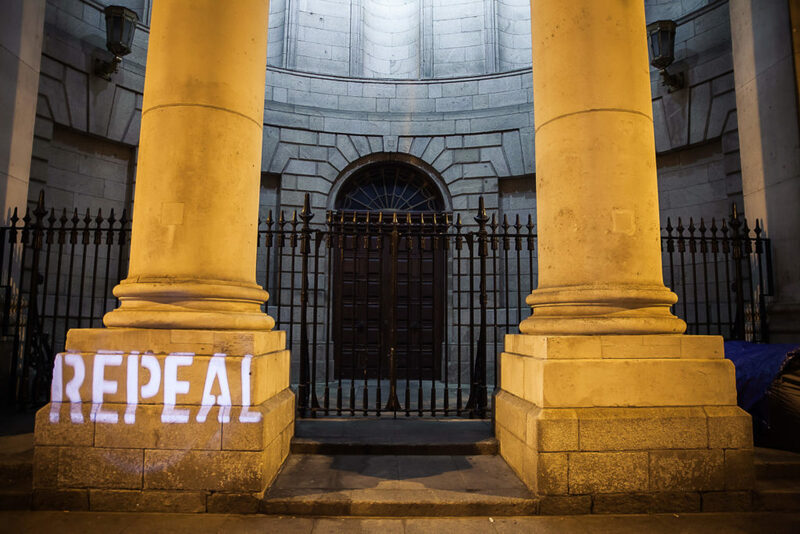 While this action was focused on Dublin landmarks, it goes without saying that this issue affects the entire country. We cannot become complacent or inactive and we must encourage and educate those who are. We must highlight the negative effects of the 8th Amendment, the people and places responsible for perpetuating the damage, while promoting the solutions & supports possible.